A man from Brentford who nearly killed a young worker at an Ealing recruitment agency last year has received two life sentences. 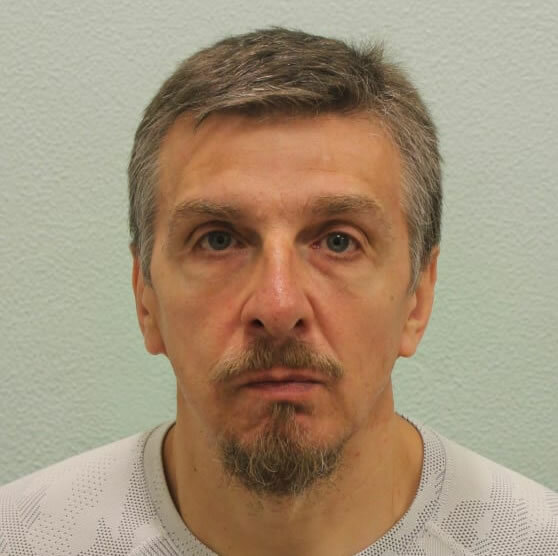 50-year-old Vladimer Rutkovskis, of Crowther Avenue was sentenced to a total of 25 years' imprisonment at the Old Bailey on Thursday, 14 March after he was convicted of two counts of attempted murder in January. He carried out the first attack on a member of staff at a recruitment agency in Ealing on 22 March last year. The court heard Rutkovskis had made an appointment at the agency to speak to someone about a driving job. After about 30 seconds of conversation with a male employee, Rutkovskis pulled out a knife from his jacket pocket and stabbed him in the chest. Two weeks later, on 3 April 2018, Rutkovskis carried out another stabbing at a building site in Horley, Surrey. Again, with no obvious motive he attacked one of the workmen at the site who met him to collect the delivery. On this occasion, he again stabbed an unarmed man who he had never met before. The 22-year-old victim suffered stab wounds to the side and back of the neck after he met Rutkovskis to collect a delivery. Rutkovskis attempted to flee from the scene in his delivery van but was stopped by other workmen on site who detained him on the ground until police arrived. He was found to be in possession of two kitchen knives. He was arrested and charged with attempted murder shortly afterwards. After being identified as responsible for the Ealing stabbing, he was interviewed by Met detectives in prison and charged later the same day. Detective Constable Leanne Ticehurst, the officer in the case from Ealing CID, said: 'Rutkovskis is an extremely dangerous man who carried out two unprovoked stabbings on two men who he did not know. 'The first attack at the recruitment agency in Ealing involved a young man who had only started working at the company a few days before. The victim thankfully did not sustain serious physical injury, but the outcome could have been far worse. 'There was absolutely no motive for the assault and Rutkovskis then went on to attack another man in a similar way just two weeks earlier. His Honour Judge Dogson said Rutkovskis 'posed a very real danger to the public” and said nobody would be able to predict when he was safe to be released.